Ibrahim Magu has revealed the major places some corrupt Nigerian public officials hide their loot after cleaning the Nigerian treasury. 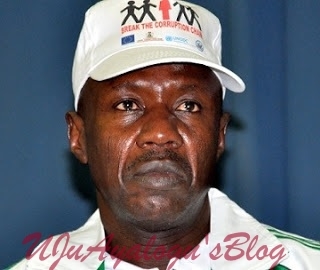 Ibrahim Magu, the Acting Chairman of the Economic and Financial Crime Commission, EFCC, has revealed where corrupt Nigerians invest the proceeds of their loots. The EFCC Czar disclosed that these corrupt Nigerians use the proceeds of their loot to purchase real estates in Dubai and the United Kingdom, UK. Magu made the disclosure during the Nigerian Institution of Estate Surveyors and Valuers (NIESV) workshop and was contained in a tweet on the agency’s Twitter handle, on Friday. Magu’s claim is coming at a time when Magu claimed that more than N30 billion looted funds have been recovered since the commencement of the whistleblowing policy. The EFCC Chairman stated this yesterday at the launch of the whistle-blower support project tagged, ‘Corruption Anonymous’ (CORA).